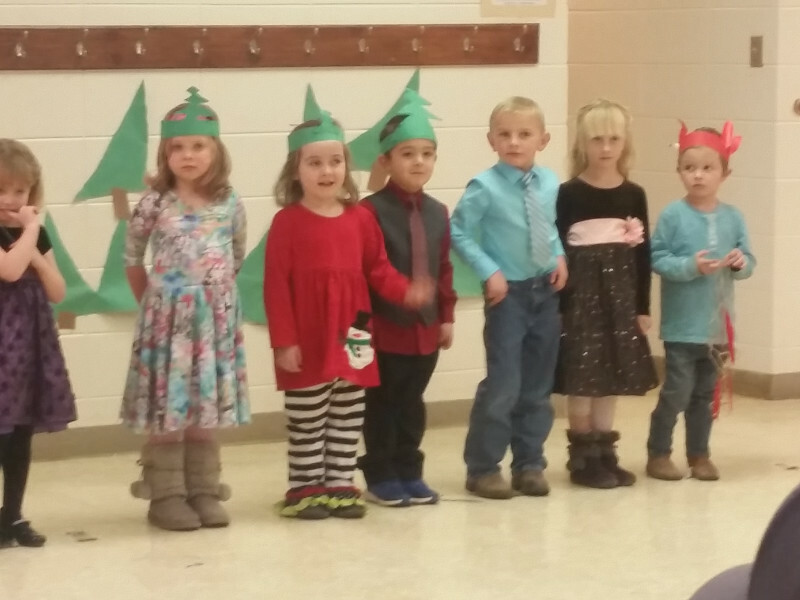 The Goblin Child had her school Christmas program last week. It was adorable. She had been telling us that she was going to be a mother and had been singing snippets of the songs. It was great to see it all put together. The story was of three trees growing in the forest. A family, our G.C., that came along and chose the biggest one for their Christmas tree. A second family came along and chose the second biggest. The littlest tree was sad that no one wanted her. Then the birds and bunnies came and decorated her and a star saw and came to perch atop her. It was very well done. 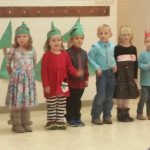 The music teacher always does an excellent job with all the programs. And we enjoyed it immensely. Good job G.C! You look very pretty!I think you could be a star!